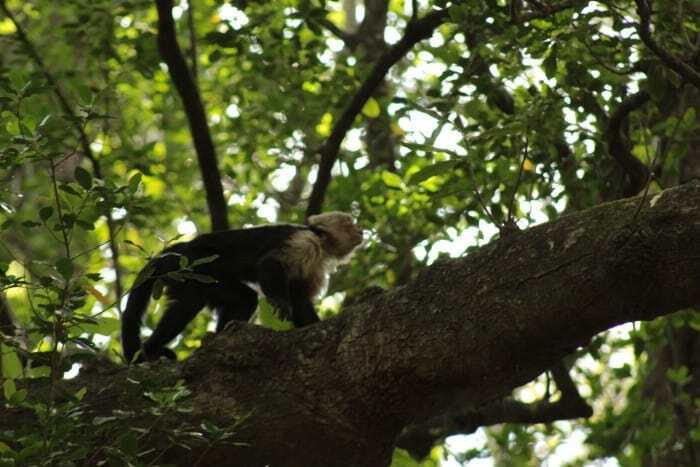 LLANOS DE CORTÉS, Guanacaste — I was relaxing on a hammock high above a natural pool at the Llanos de Cortés waterfall when a white-faced monkey almost slid off the tree and into my lap. He managed to stop himself, then tight-roped a straw-thin branch and jumped over the water to a tree on the other side, amazing the open-mouthed tourists below. Then he disappeared into the dense green brush, completely unaware how much he had delighted an audience with his surprise performance, which seemed to epitomize all the reasons people come to Costa Rica. 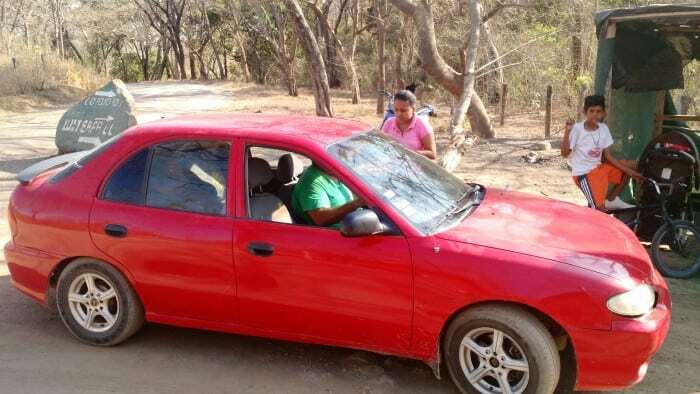 I was staying in Playa del Coco with eight friends visiting from the U.S., and we decided to take a day trip to Llanos de Cortés, an hour’s drive away. I had never been to what some call Costa Rica’s most beautiful waterfall, always having bypassed it on previous trips to Guanacaste. I was hoping it wouldn’t be too crowded for our large group of young travelers looking to stay off the beaten path. When our van pulled into the parking lot, I cringed at the sight of so many cars. We walked toward the gigantic waterfall, where stripes of water rush down a jagged wall of rock. Light escaped over the falls, through an opening in the trees, to cover the pond at the bottom. A vendor told us about a deeper pool just a short walk from the main falls, so we trekked through a muddy jungle path, walking over fallen trees and heavy vegetation to get to the somewhat secluded hideaway. After 10 minutes of cliff jumping and swimming all by ourselves, other groups of locals and tourists started to migrate toward our spot. I succumbed to the inevitability of crowds on a sunny Saturday and reclined back in my hammock, nearly dozing off to the sound of people splashing in the water below me. Without these crowds, however, it would be hard for a group of community members looking to give back to the tiny pueblo of Los Llanos de Cortés, located within a kilometer of the waterfall. 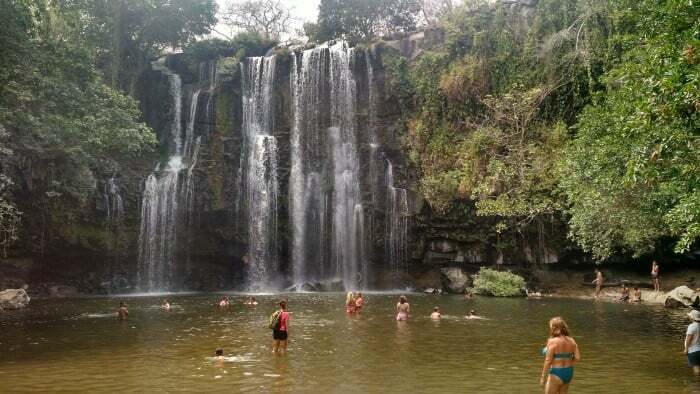 Upon arriving at the waterfall, visitors are asked to make a voluntary donation to the nearby Los Llanos school. Ennia Villalobos, the president of the school council, said the proceeds go directly toward helping repair a school that nearly 70 local kids aged 4 to 12 attend. Villalobos said the school council works with the local Catholic Church and other institutions to raise money outside the waterfall. They have a number of projects planned, like installing ceramic tiles in the kindergarten classroom and buying tables and chairs for the schoolchildren. 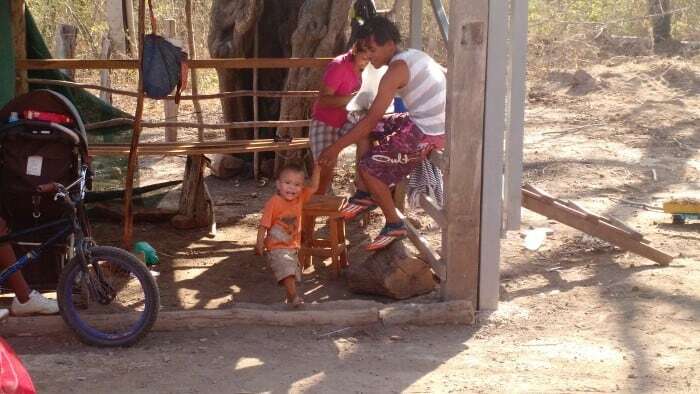 She added that on an average week, the Los Llanos school receives about $700 to $1,000 in donations from tourists but that the public school could always use more to help kids from low-income families. Villalobos, who has one child enrolled in the grade school, said the donation collection was born of necessity. The school had been falling apart for some time and was in need of some improved infrastructure. “Right now, more than anything, we’re focusing on repairs because the school is very damaged,” she said. 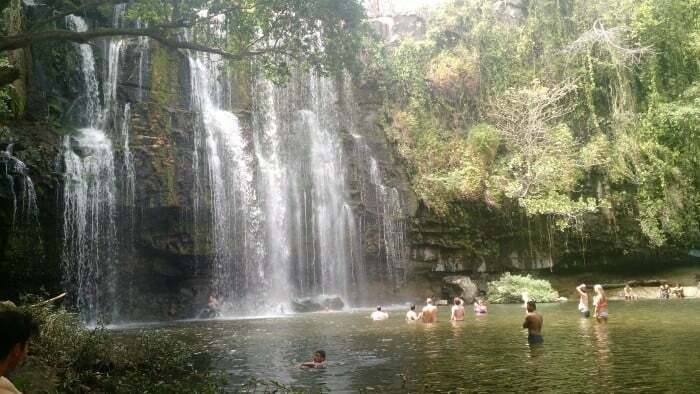 Not only do visitors to Llanos de Cortés get treated to the scenery of one of Costa Rica’s best natural wonders, but they can feel good knowing they are contributing to a noble cause. Then you don’t have to feel guilty for lounging away the day by a waterfall. Getting there: Los Llanos de Cortés is off Hwy. 1 near Bagaces, going towards Palo Verde National Park. Cost: No entrance fee but donations welcome. What to bring: Bathing suit, sunscreen, sandals.